Do you live in Edina MN? If so, it’s likely your roof has experienced some rough treatment from the weather in the city! Not only does it rain a lot in Edina, but the hot days are also sweltering; the scorching sun is hard to tolerate in July. Such weather changes take its toll on roofs and so theywill often need regular maintenance and repairs. If your roof exhibits signs that it could have been damaged, however little it may seem on the surface, you should invest in a roofing contractor to assess the true strength of the roof. If you are thinking about remodeling or replacing your roof entirely, Snap Constructionoffers you three types of roof, each of which succeeds in keeping harsh weather conditions at bay to guarantee the safety of your family. Theseoptions areasphalt shingles, cedar shakes, and metal. Asphalt shingles are oftenthe most cost-effective option. The company also allows you to choose from anvarietyof colors and shapes, meaning your roof can be entirely customized to suit the style of your home. While asphalt shingles is the least expensiveoption available, if you are willing to invest a little more, you can finda durable solution to your roof problems throughthe installation of cedar shakes. This roof not only serves to makeyour house even more beautiful, whilst retaining Minnesota’s tradition of using natural building materials, but it also provides enhanced protection against any weather. Finally, for those of you who are lookingfor even longer-lasting materialswhich ensure the long life of yourhouse, metal roofs are perfect. 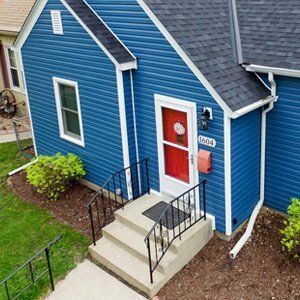 Not only does this roof type add anextra “oomph” to the aesthetic appeal of your house, but such a roof also protects your home from the harshest elements of the great outdoors. The fact that a metal roofis also naturally fireproof alsohelps provide you with extra confidence in your investment. 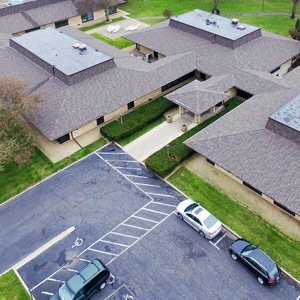 While reading Edina MN roofing reviews will tell you that all contractors can claim to provide a flawless repair service,in reality only a few companies can truly back such claims. Snap Constructionis one of the few that take important measures to ensure that they can offer a high quality service to all of their customers. Most importantly, the company provides complete peace of mind in its service with a lifetime warranty. This offer means that if your roof exhibits the same problem ever again, Snap Constructionwill look into it free of charge. Such an offer allowsSnap Construction customers to save money in the long run since repairing a damaged roof really does then become a one-off investment and a cost-effective way of fixing a roof. Your roof is the single most important element of your house and guarantees the safety of both you and your loved ones, so we recommendgiving it the attention it deserves. Find out how Edina roofing company: Add beauty and protection to your home.